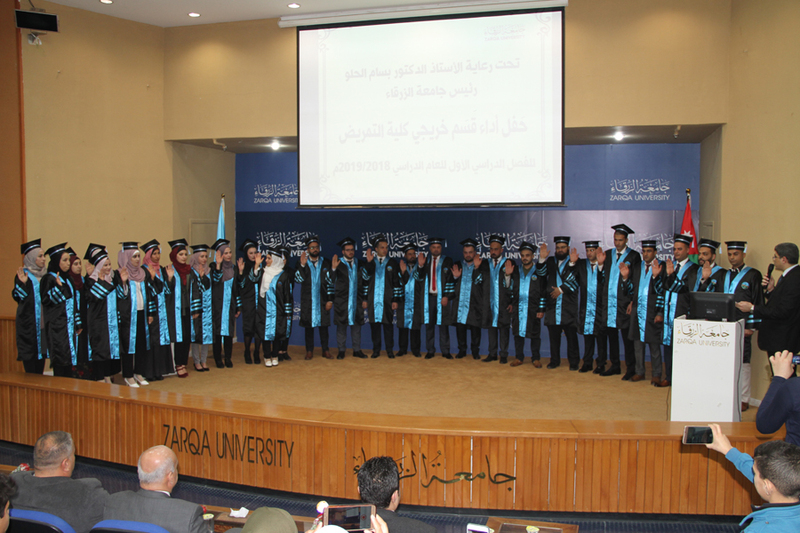 Prof. Dr. Bassam Al Helou praised the graduates and wished them all success. In their speeches, the Dean and some students pledged to continue efforts to maintain the quality and excellent reputation of nursing. The Dean of the Faculty of Nursing Dr. Nidal Aisha said: "Our efforts over the past years are not just for graduation. Graduation is the real beginning of the journey of the struggle to build yourselves and your future. Do not neglect to take responsibility for the oath you swore before you are held accountable by others. Build a future that will earn you love, respect and trust". The ceremony was concluded by giving away the certificates to the graduates.